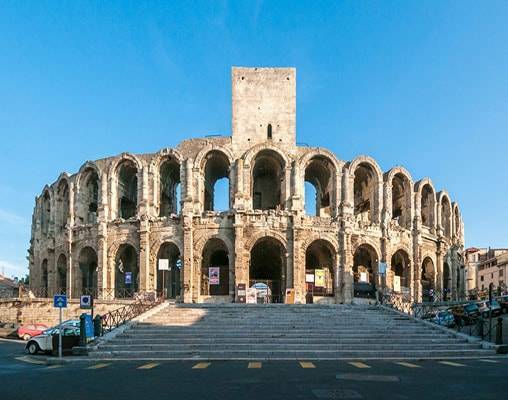 Your adventure begins on the stunning Côte d’Azur, then travel to Arles to board your ship and sail into the peaceful Camargue area during dinner (daylight permitting), before returning to Arles. 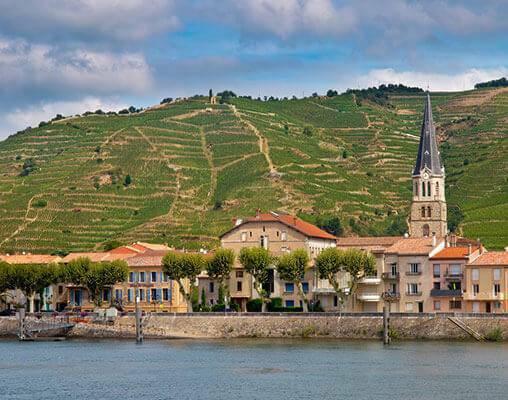 Then, sail north up the scenic Rhône and Saône Rivers. 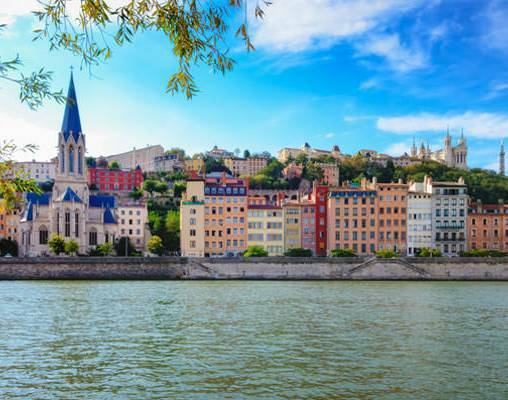 Along the way, explore Arles, Avignon, delightful Viviers, medieval Tournon, charming Vienne, France’s gastronomic capital of Lyon, as well as St. Jean de Losne, and fascinating Beaune. 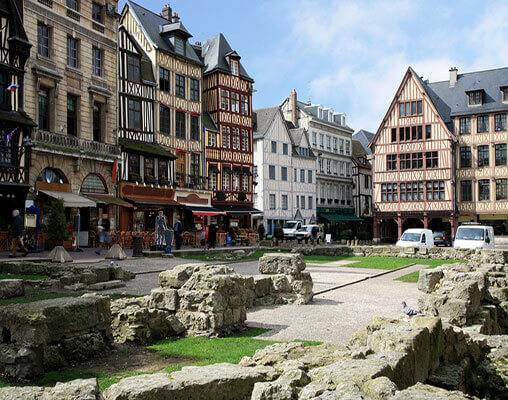 Take the TGV train from Dijon to Paris, embark your second cruise ship, and begin your journey along the Seine River into the picturesque Normandy region. In Vernon, choose between a guided visit of Claude Monet’s stunning gardens at Giverny or magnificent Bizy Castle. 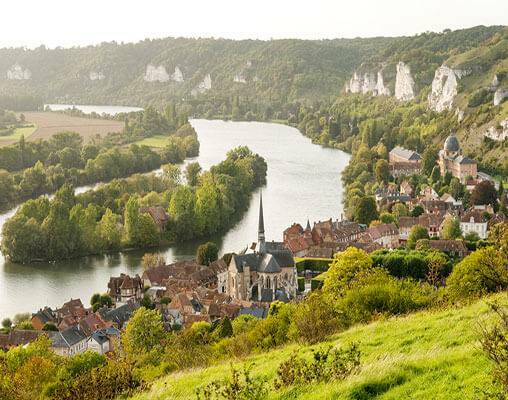 Continue to Les Andelys, home of dramatic Château Gaillard, then on to Caudebec, where you choose between an included excursion to Normandy’s historic landing beaches or an interesting “Taste of Normandy.” Next up: Joan of Arc’s historic Rouen. 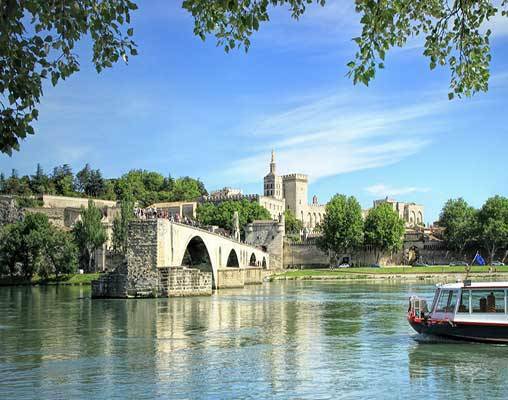 In Conflans, it’s your choice of excursions to either Vincent van Gogh’s Auvers-sur-Oise or Napoleon and Josephine’s elegant Château de Malmaison. 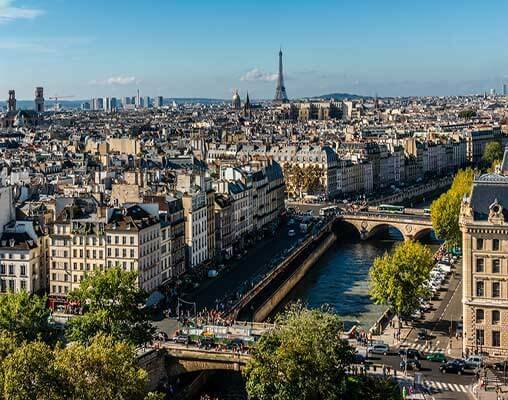 Return to Paris for guided sightseeing, taking in the most famous sights of this magnificent city—a fitting conclusion of your magnificent cruise vacation. Welcome to France! Located between the mountains and the deep-blue Mediterranean Sea, the Côte d'Azur is synonymous with prestige and beauty with its enchanting yachts, glamorous villas, and famous events. Time at leisure lets you get acquainted with this amazing place. New to the legendary waters of Europe in 2014, the Avalon Poetry II offers a delightfully intimate cruise setting. Like its sister Suite Ships, the Avalon Artistry II, Avalon Visionary, Avalon Tapestry II, and Avalon Tranquility II, the Poetry II features two full decks of suites featuring Wall-to-Wall Panoramic Windows that transform the living space into a unique Open-Air Balcony®. With 200 square feet, Panorama Suites are more than 30% larger than the industry standard, giving you the rare opportunity to wake each morning to the enchanting scenery and fresh breezes. Onboard amenities include an alternative dining option in the Panorama Bistro, complimentary computer use in public areas and Wi-Fi access, an expanded Fitness Center, and a spacious Sky Deck with premium lounge chairs, whirlpool, and light al-fresco lunches at the Sky Bistro. 2015 brings with it another extraordinary Suite Ship® to the Avalon fleet. The Avalon Tapestry II is a true haven on the river - two full decks of Panorama Suites with Wall-to-Wall Panoramic Windows that transform the living space into a unique Open-Air Balcony®. With 200 square feet, Panorama Suites are more than 30% larger than the industry standard, giving you the rare opportunity to wake each morning to enchanting scenery and fresh breezes. Onboard amenities and services include complimentary computer use in public areas and free Wi-Fi access, a Fitness Center with state-of-the-art equipment, a hair salon, elevator, and a spacious Sky Deck with shade system, whirlpool, deck games, and the delightful Sky Bistro for al-fresco lunches of light grill fare. Enter your details below if you would like to be notified when 2021 dates and prices are available for Grand France - Northbound. In the event that the TGV is unavailable due to strikes or technical reasons, the transfer from Dijon to Paris will be operated by motorcoach.